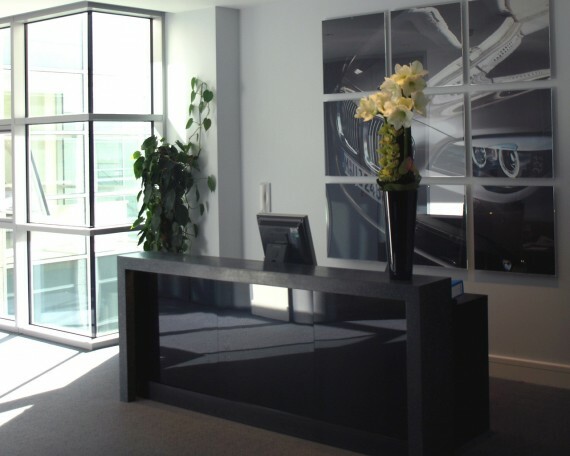 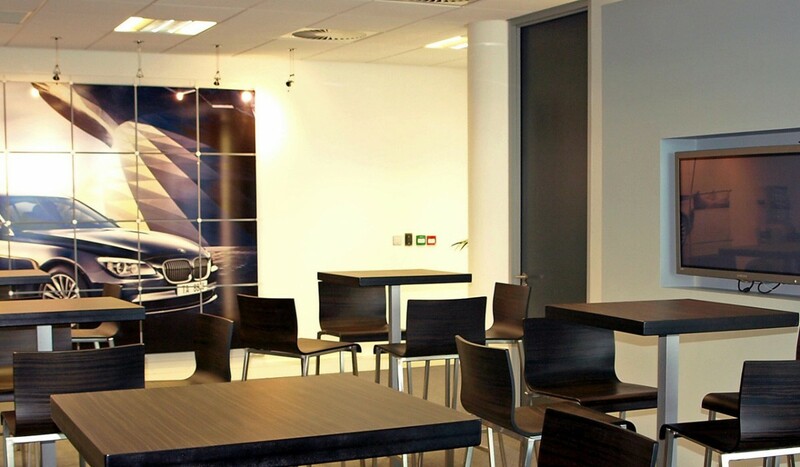 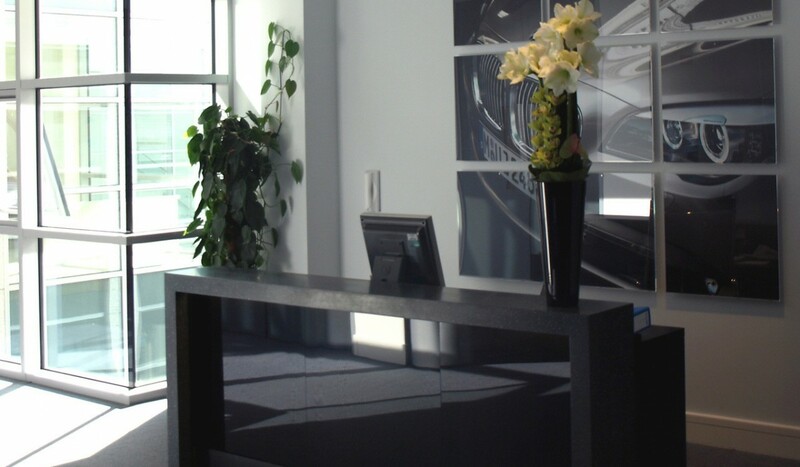 BMW (Ireland) needed to relocate their headquarters office to a new office building, taking the opportunity to consolidate and restructure their current requirements for staff and dealer training, product promotion and launch facilities. 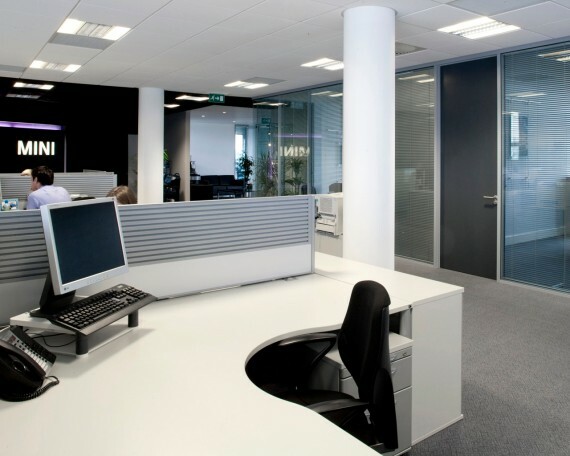 The key driver for the clients was a floor plan that could be divided into public / private zones while also maintaining a connectivity when required. 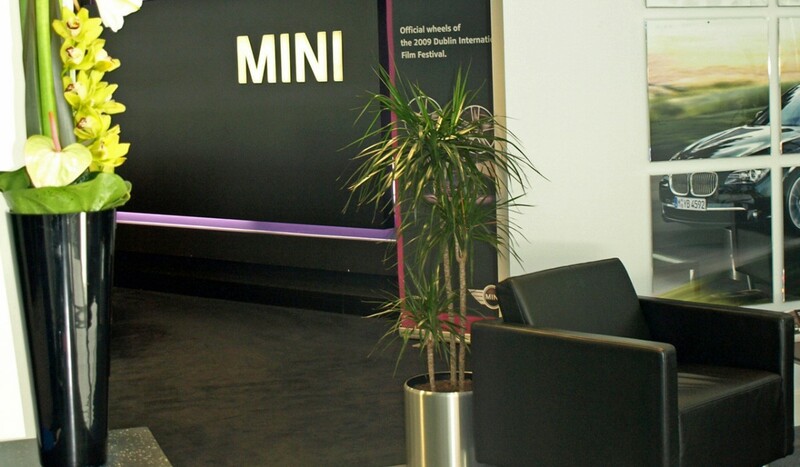 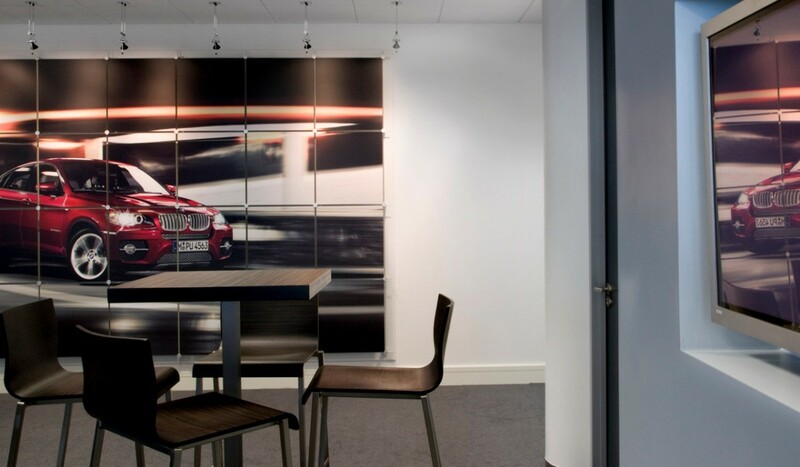 The cool, calm but assured BMW corporate branding image led the interior design scheme with strict guidelines from the European headquarters in Germany. 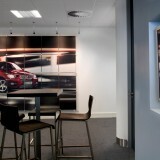 Four unwavering values that define the BMW brand, and which have been central to its success: dynamism, aesthetics, exclusivity and innovation were incorporated into the scheme in order to insure the fit-out was stamped with the BMW brand. 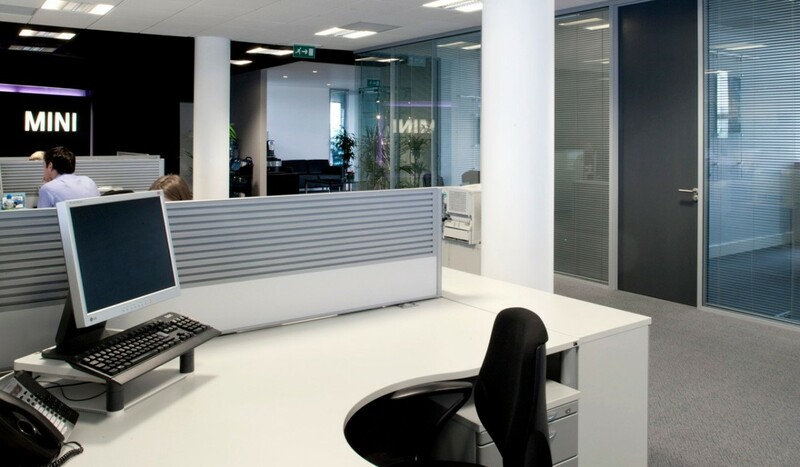 Interior material finishes, colours and signage are integrated into this calm but efficient working environment.